We head into week 13 with PSG in an impossibly strong position having won each of their 12 games so far this season. Montpellier and Lille occupy second and third place a distant 11 points off the pace. The Parisians will be away at Monaco in the week’s glamour fixture, although the contest should prove far more one-sided than it has in recent memory, with the men from the Principality languishing in 19th place. Lille continue to thrive following last season’s disastrous campaign. They went down 2-1 at PSG last week but won five on the spin before that defeat, including convincing home wins over Marseille and St. Etienne. Strasbourg have enjoyed a solid start to this campaign and their recent form suggests that they can come away from Lille with a point at the very least. They’ve not tasted defeat in the league in their last six outings – a run which has seen them climb up to seventh on the table. Despite Strasbourg’s good form, Lille are tipped to get back to winning ways at a very valuable 8/10. Guingamp still find themselves rooted to the bottom of the table following their 5-0 hammering away at Nantes. Antoine Kombouare will be fuming with such a tame performance after winning one and drawing three of their previous four matches. They face a very stern test in the form of Lyon this week. Lyon have been a picture of inconsistency this season and find themselves in fourth place, 15 points off the pace as a result. They now have to focus their attention on qualifying for the Champions League with league honours well out of sight. Wins against Nimes and Angers were sandwiched by a 5-0 defeat at PSG and a 1-1 home draw with Bordeaux. Lyon represent great value here against the division’s bottom side. Get on at 13/20. Angers have once again settled in the bottom quarter of the table as they prepare for yet another long, hard fight against relegation. They’re on a dreadful run at the moment having taken only two points from a possible 15. Not a good sign as they prepare to welcome high-flying Montpellier to the Stade Rayomond-Kopa. Montpellier are enjoying a remarkable campaign, having only tasted defeat once the entire season – a 1-0 loss on the opening day at home against Dijon. They have the joint-best defensive record in the division, conceding just seven goals. They’ve picked up 13 points from a possible 15, conceding just once and scoring 12 times in their last five matches. Massive value on Montpellier here at 31/20. Nimes have enjoyed a fruitful return to France’s top-flight and should be able to maintain their Ligue 1 status if they continue to perform in the manner that they have. They sit 13th on the table with three wins and five draws from 12 games. They head into this match off the back of a morale-boosting 4-0 away win over Dijon. Nice may just be finding their feet this season after claiming back to back 1-0 wins over Bordeaux and Amiens. Whether or not they’re able to maintain this run against Nimes remains to be seen. Like many of the other bigger teams in the division, their campaign has been blighted by inconsistency. Three wins on the spin may be a bridge too far for Nice. They tend to be involved in very low-scoring matches. As such, get on the Under 2.5 Goals market here at 15/20. Toulouse are sliding back down toward the relegation zone after a bright start to the season. They’re without a win in eight league matches and will certainly be targeting this fixture against fellow strugglers to get back to winning ways. Amiens have lost four of their last five fixtures. The only win they picked up in that period came in a narrow 1-0 home win over one of the division’s poorer sides of late, Dijon. Back Toulouse get back to winning ways here. St. Etienne will do well to take the threat that Reims pose very seriously. The new boys have set the division alight this term and have their sights firmly fixed on a St. Etienne outfit who have delivered in fits and starts this campaign. Reims are undefeated in their last five matches, back them to claim a point at the very least on the Win/Draw at 9/10. Bordeaux are another of the bigger sides who have been plagued by inconsistency this season. Their last five league results read DWLLD – simply not good enough for a team who no doubt harbour aspirations of playing in Europe. Eric Bedouet will expect nothing less than three points this weekend against struggling Caen. Caen appear to have picked up where they left off toward the end of last season. Patchy results have given way to an all-out crisis. They’ve only picked up a single point from a possible 15 and are tipped to go down against Bordeaux. Home win for me at 9/10. Dijon’s barn-storming start to the season is now a very distant memory. They’ve picked up two points from a possible 27 and will – barring some sort of miracle – lose to a Marseille side who have saved all of their best performances for their home fans. Back Marseille on the (-1) Handicap at 9/10. Rennes have enjoyed a typically middling season thus far. They sit 12th on the standings with four wins, three draws and five wins from their 12 games. They claimed a solid 2-1 away win against Caen last week but will face a far sterner test this week in the form of an in-form Nantes outfit. Nantes have found their feet this season and have now won three from three, scoring 11 goals in the process. 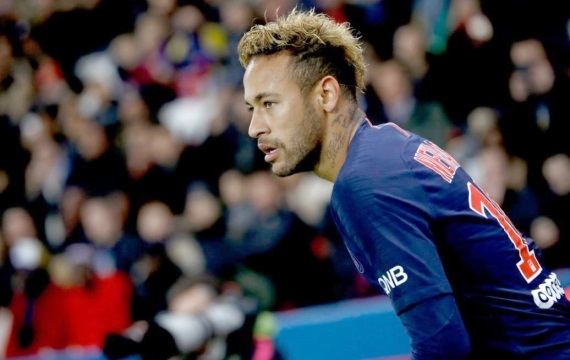 It should be noted, however, that these three victories came against some of the division’s weaker teams in the form of Toulouse, Amiens and Guingamp. Nantes should pip Stade Rennais here, 26/10 is excellent value! This match would have been pencilled into all French football fans’ diaries at the start of the season. However, with Monaco floundering in the relegation zone and PSG winning all of their league games this season, you simply can’t see the men from the Principality getting anything out of this. PSG should clear the (-1) Handicap with ease here – great value at 15/20.